Abramovitch, A., Abramowitz, J. S., & Mittelman, A. (2013). The neuropsychology of adult obsessive-compulsive disorder: a meta-analysis. Clinical Psychology Review, 33(8), 1163–1171. https://doi.org/10.1016/j.cpr.2013.09.004. Abramowitz, J. S., Deacon, B. J., Olatunji, B. O., Wheaton, M. G., Berman, N. C., Losardo, D., et al. (2010). Assessment of obsessive-compulsive symptom dimensions: development and evaluation of the Dimensional Obsessive-Compulsive Scale. Psychological Assessment, 22(1), 180–198. https://doi.org/10.1037/a0018260. Douglass, H. M., Moffitt, T. E., Dar, R., McGee, R. O. B., & Silva, P. (1995). Obsessive-Compulsive Disorder in a Birth Cohort of 18-Year-Olds: Prevalence and Predictors. Journal of the American Academy of Child and Adolescent Psychiatry, 34(11), 1424–1431. https://doi.org/10.1097/00004583-199511000-00008. Friedman, N. P., Miyake, A., Corley, R. P., Young, S. E., DeFries, J. C., & Hewitt, J. K. (2006). Not All Executive Functions Are Related to Intelligence. Psychological Science, 17(2), 172–179. https://doi.org/10.1111/j.1467-9280.2006.01681.x. Geller, D. A., Abramovitch, A., Mittelman, A., Stark, A., Ramsey, K., Cooperman, A., et al. (2017). Neurocognitive Function in Pediatric Obsessive-Compulsive Disorder. World Journal of Biological Psychiatry, 1–26. https://doi.org/10.1080/15622975.2017.1282173. Gorlyn, M., Keilp, J. G., Oquendo, M. A., Burke, A. K., Sackeim, H. A., & John Mann, J. (2006). The WAIS-III and major depression: absence of VIQ/PIQ differences. Journal of Clinical and Experimental Neuropsychology, 28(7), 1145–1157. https://doi.org/10.1080/13803390500246944. Grisham, J. R., Brown, T. A., Savage, C. R., Steketee, G., & Barlow, D. H. (2007). Neuropsychological impairment associated with compulsive hoarding. Behaviour Research and Therapy, 45(7), 1471–1483. https://doi.org/10.1016/j.brat.2006.12.008. Hagen, A. (2016). What OCD Feels Like: Being Absolutely Uncertain. https://psychcentral.com/lib/what-ocd-feels-like-being-absolutely-uncertain/. Accessed February 6 2017. Keyes, K. M., Platt, J., Kaufman, A. S., & McLaughlin, K. A. (2016). Association of Fluid Intelligence and Psychiatric Disorders in a Population-Representative Sample of US Adolescents. JAMA Psychiatry. https://doi.org/10.1001/jamapsychiatry.2016.3723. Kitis, A., Akdede, B. B., Alptekin, K., Akvardar, Y., Arkar, H., Erol, A., et al. (2007). Cognitive dysfunctions in patients with obsessive-compulsive disorder compared to the patients with schizophrenia patients: relation to overvalued ideas. Progress in Neuro-Psychopharmacology and Biological Psychiatry, 31(1), 254–261. https://doi.org/10.1016/j.pnpbp.2006.06.022. Kluger, A., & Goldberg, E. (1990). IQ patterns in affective disorder, lateralized and diffuse brain damage. Journal of Clinical and Experimental Neuropsychology, 12(2), 182–194. https://doi.org/10.1080/01688639008400966. Koenen, K. C., Moffitt, T. E., Roberts, A. L., Martin, L. T., Kubzansky, L., Harrington, H., et al. (2009). Childhood IQ and adult mental disorders: a test of the cognitive reserve hypothesis. American Journal of Psychiatry, 166(1), 50–57. https://doi.org/10.1176/appi.ajp.2008.08030343. Lipszyc, J., & Schachar, R. (2010). Inhibitory control and psychopathology: a meta-analysis of studies using the stop signal task. Journal of the International Neuropsychological Society, 16(6), 1064–1076. https://doi.org/10.1017/s1355617710000895. McKay, D., Abramowitz, J. S., Calamari, J. E., Kyrios, M., Radomsky, A., Sookman, D., et al. (2004). A critical evaluation of obsessive-compulsive disorder subtypes: symptoms versus mechanisms. Clinical Psychology Review, 24(3), 283–313. https://doi.org/10.1016/j.cpr.2004.04.003. Mortensen, E. L., Sorensen, H. J., Jensen, H. H., Reinisch, J. M., & Mednick, S. A. (2005). IQ and mental disorder in young men. British Journal of Psychiatry, 187, 407–415. https://doi.org/10.1192/bjp.187.5.407. Nedeljkovic, M., Kyrios, M., Moulding, R., Doron, G., Wainwright, K., Pantelis, C., et al. (2009). Differences in neuropsychological performance between subtypes of obsessive-compulsive disorder. Australian and New Zealand Journal of Psychiatry, 43(3), 216–226. https://doi.org/10.1080/00048670802653273. Orwin, R. G. (1983). A Fail-SafeN for Effect Size in Meta-Analysis. Journal of Educational and Behavioral Statistics, 8(2), 157–159. https://doi.org/10.3102/10769986008002157. Pernicano, K. M. (1986). Score differences in WAIS-R scatter for schizophrenics, depressives, and personality disorders: a preliminary analysis. Psychological Reports, 59(2 Pt 1), 539–543. https://doi.org/10.2466/pr0.1986.59.2.539. Peterson, B. S., Pine, D. S., Cohen, P., & Brook, J. S. (2001). Prospective, Longitudinal Study of Tic, Obsessive-Compulsive, and Attention-Deficit/Hyperactivity Disorders in an Epidemiological Sample. Journal of the American Academy of Child and Adolescent Psychiatry, 40(6), 685–695. https://doi.org/10.1097/00004583-200106000-00014. Shin, N. Y., Lee, T. Y., Kim, E., & Kwon, J. S. (2014). Cognitive functioning in obsessive-compulsive disorder: a meta-analysis. Psychological Medicine, 44(6), 1121–1130. https://doi.org/10.1017/S0033291713001803. Snyder, H. R., Kaiser, R. H., Warren, S. L., & Heller, W. (2014). Obsessive-Compulsive Disorder Is Associated With Broad Impairments in Executive Function: A Meta-Analysis. Clinical Psychological Science. https://doi.org/10.1177/2167702614534210. Snyder, H. R., Miyake, A., & Hankin, B. L. (2015). Advancing understanding of executive function impairments and psychopathology: bridging the gap between clinical and cognitive approaches. 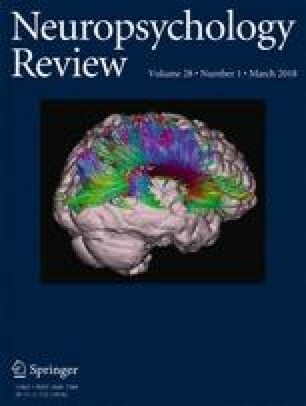 Frontiers in Psychology, 6, 328. https://doi.org/10.3389/fpsyg.2015.00328. Wright, L., Lipszyc, J., Dupuis, A., Thayapararajah, S. W., & Schachar, R. (2014). Response inhibition and psychopathology: A meta-analysis of go/no-go task performance. Journal of Abnormal Psychology, No Pagination Specified. https://doi.org/10.1037/a0036295. Zohar, A. H., Ratzoni, G., Pauls, D. L., Apter, A., Bleich, A., Kron, S., et al. (1992). An Epidemiological Study of Obsessive-Compulsive Disorder and Related Disorders in Israeli Adolescents. Journal of the American Academy of Child and Adolescent Psychiatry, 31(6), 1057–1061. https://doi.org/10.1097/00004583-199211000-00010.